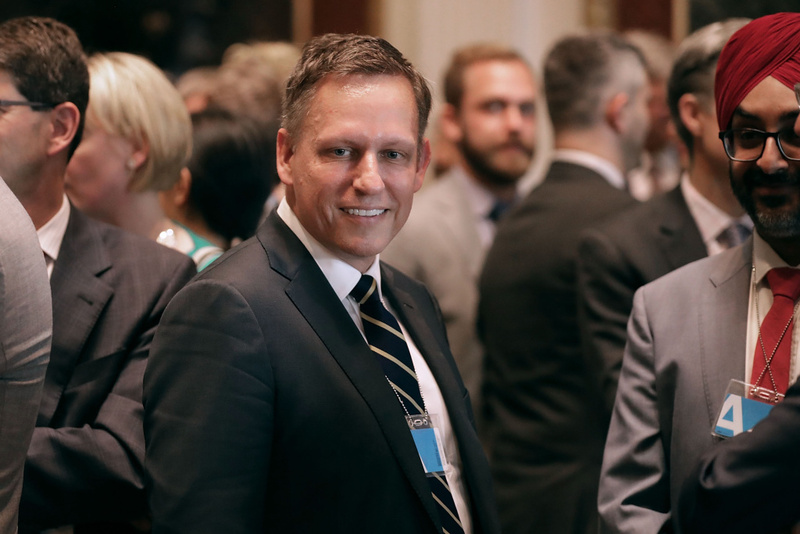 Venture capitalist Peter Thiel of the Founders Fund attetnds the inaugural meeting of the American Technology Council in the Indian Treaty Room at the Eisenhower Executive Office Building on June 19, 2017 in Washington, DC. It was reported last week that one of Silicon Valley’s giants Peter Thiel, known for numerous ventures including co-founding PayPal, being the former CEO of eBay and investing early in Facebook, is moving to Los Angeles in order to escape the liberal bubble of San Francisco. Thiel, who leans libertarian and has endorsed President Trump, is moving some of his organizations to L.A. as well, though his future plans here an unclear. The irony of Thiel becoming an Angeleno to get away from liberals is not lost on some writers. But his relocation has inspired us to ask: have you ever moved to or from a place because of your political leanings? Would you move to a city in order to be with more like-minded people? Or have you ever moved somewhere for the opposite reason – because you wanted to encounter different viewpoints from the ones your already hold?